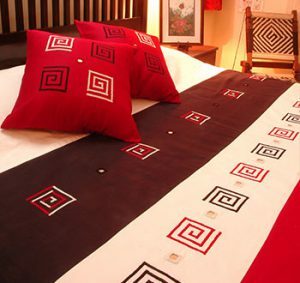 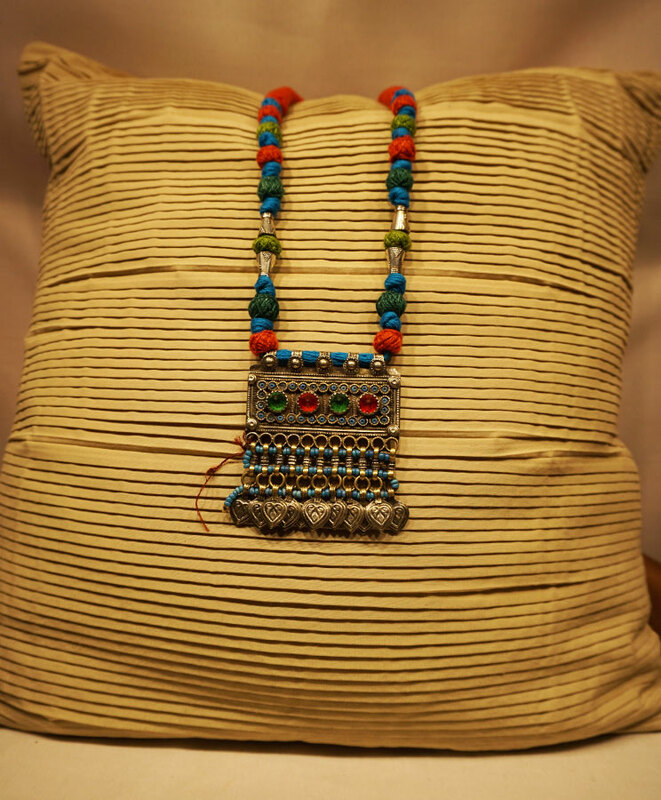 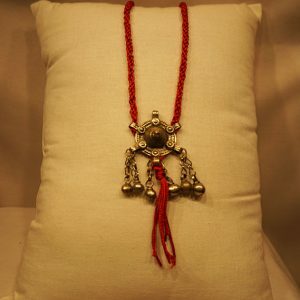 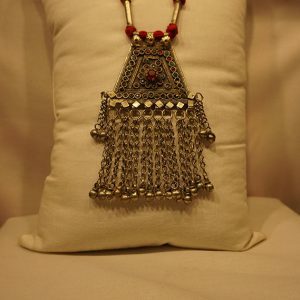 Handmade, authentic Afghan nomadic tribal pendent is an amazing piece of art. 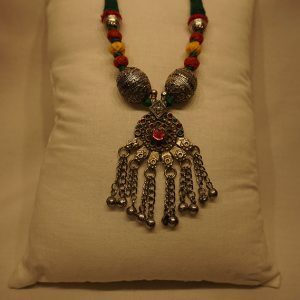 The pendent is inlaid with glass stones, securely surrounded by beautiful filgree work, hand carving. 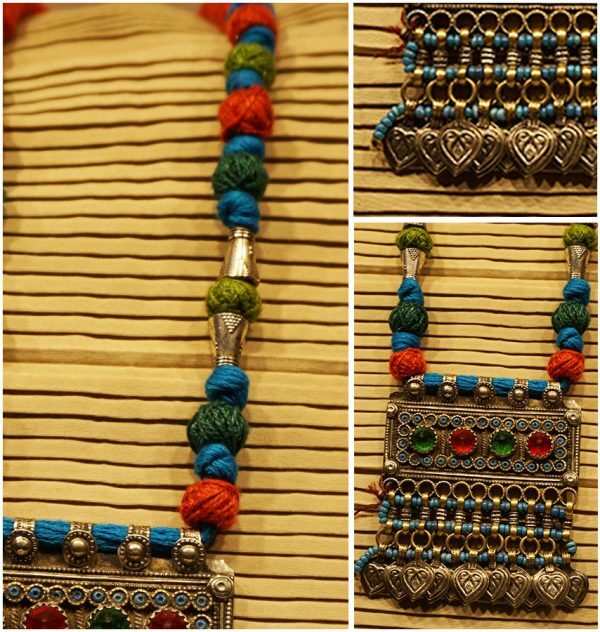 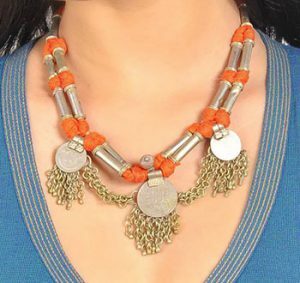 The silver alloy hanging along with coloured threads and glass beads giving a rich look to the jewellery, beaded with colourful handmade thread beads and whitemetal accessories.